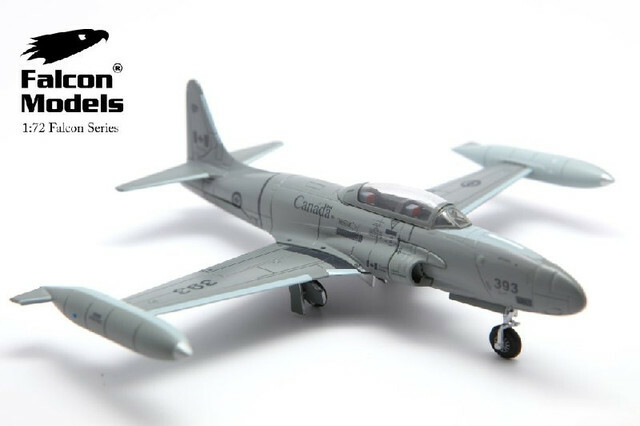 Hobby Master has stated in the past that the investment in a new diecast tooling can only be recovered if 10,000 units are produced over the tooling’s lifetime. With production runs for releases these days of only 600 units or so - the market just isn’t big enough. BTW, I have a couple of hundred hours on Tutors and would really, really like to have one done in diecast - so I would love to be proven wrong! I guess it would be asking quite a lot for a company to produce a product at a loss. It's really just wishful thinking on my part. I would prefer to think that the 'Snowbirds' would have been popular enough to generate a market for a Tutor model but I guess not. BTW, I have a few dozen hours of busting my knuckles on Tutors and I would have liked to have seen one in diecast too!!!
. . . available in plastic only - diecast is made from 'unobtanium' !! 10 years ago when MSRP would have been $40CDN or less, it could have happened. Now that they would probably be $80 or more a unit, no effin' way. Actually, on EBay there are several desktop wooden Tutor models advertised. Collecting wood models is against the rules here isn't it???
. . . not if your a woodpecker ! Why can't that Canadian Museum or whatever it was that released the Arrow do it? Seems the Tutor would be cheaper and have many more livery options than the Arrow. Why are we having all these people from s--thole countries come here? Indeed. 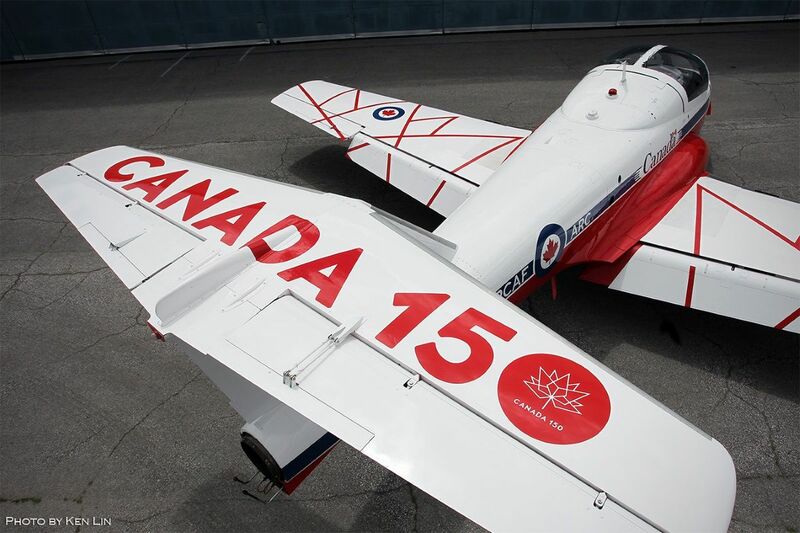 'The Canadian Warplane Heritage Museum' does seem to have some exclusive 'Canadian Heritage Series' aircraft (evident by the labeling on the box). 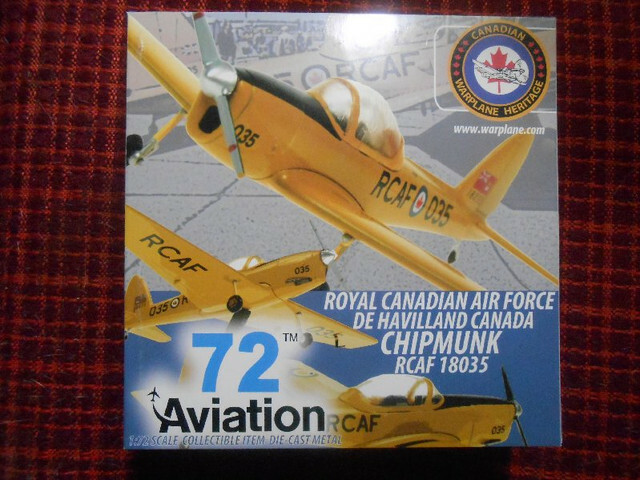 Attached is the carton for my RCAF DHC-1 Chipmunk that was supposedly limited to 600. 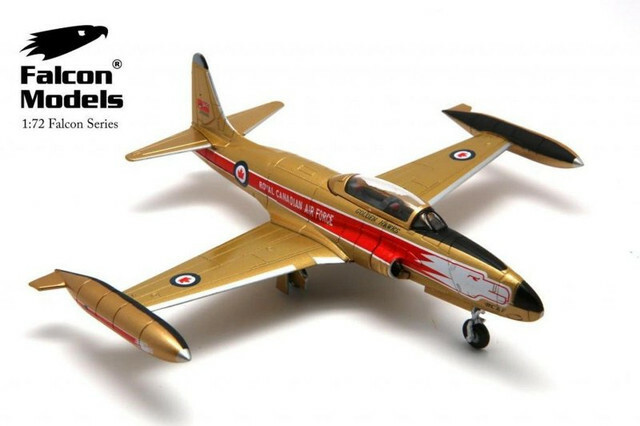 A diecast Chipmunk could and does however come in many different liveries. 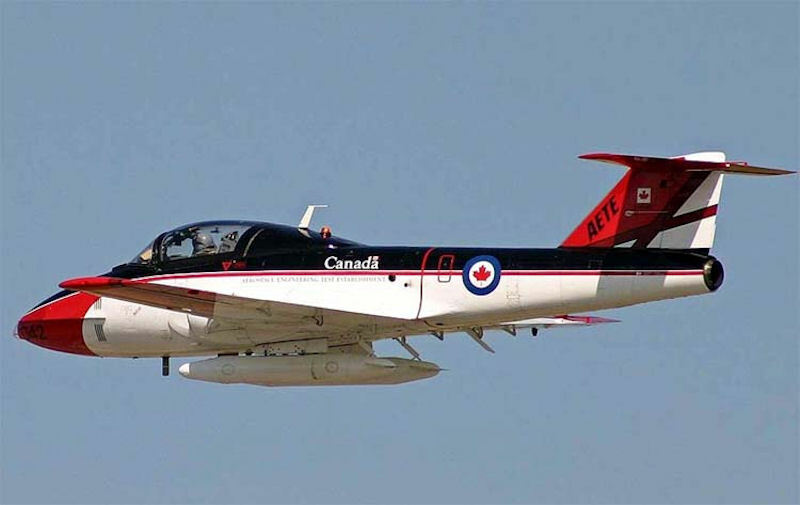 The Canadair Tutor could have possibly six different paint schemes (5 Canadian, 1 Malaysian) but understandably would only likely appeal to Canadian collectors so the market seems quite limited. 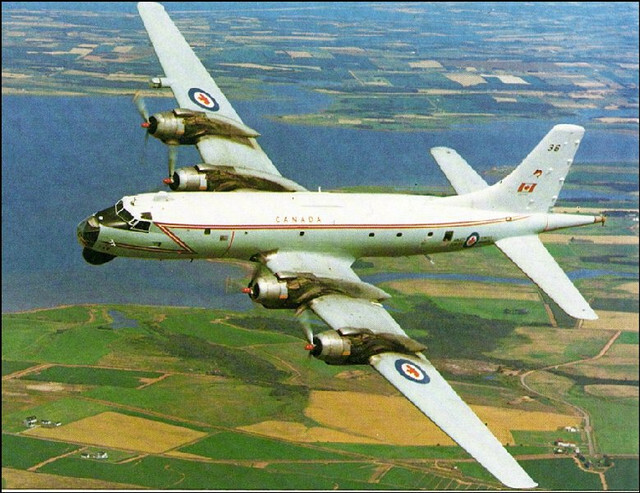 I dunno, maybe they just decided to take a risk with the AVRO Arrow and see what happens. How well known is the Arrow outside of Canada? 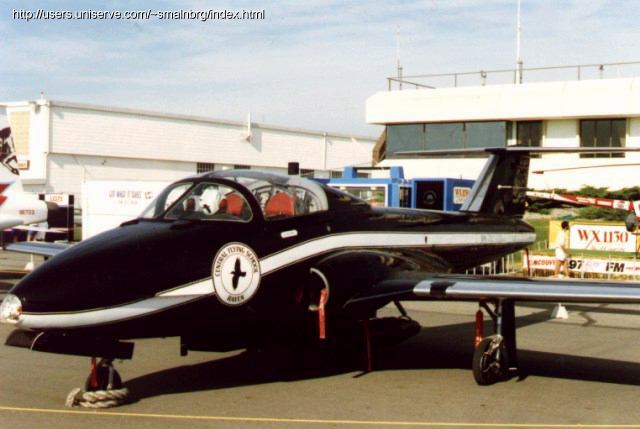 The Chipmunk model appears to be a product of '72 Aviation' (AV7226008). The box also says "Made in China". 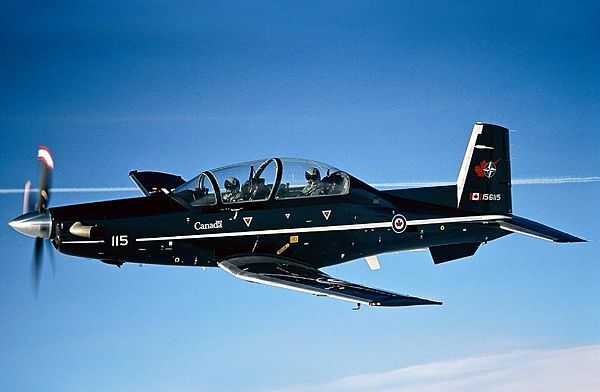 I see too that 72 Aviation also offers various models of the RAF Tucano. 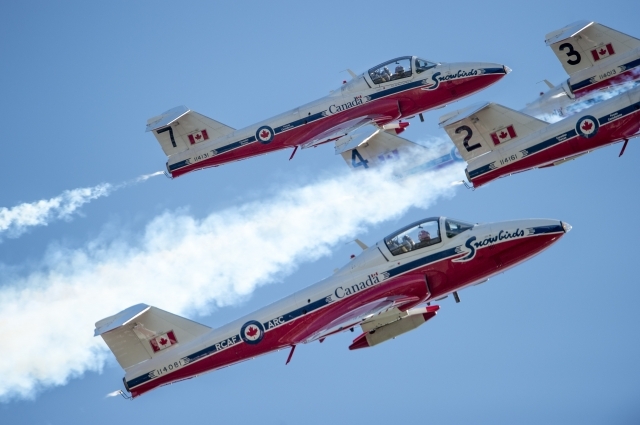 It wouldn't seem to be too much trouble for them to possibly issue an RCAF version as well (AKA the "Harvard II"). Don't think they can as it appears they've already invested in a new tooling. 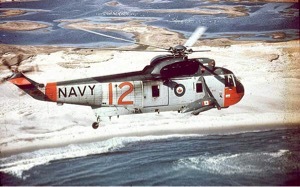 CWHM is an option. 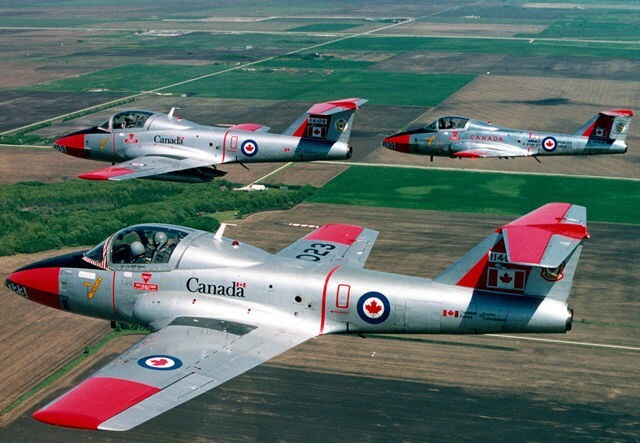 Personally, I think it would do better than a CF-100 which is what people seem to think CWHM will do next. 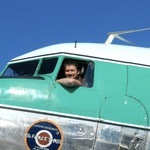 With all the livery options, there’s a lot of potential longevity with the mold. 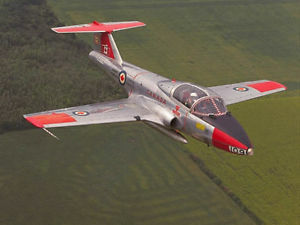 Interesting enough, CWHM had planned a T-33 as CWH002. 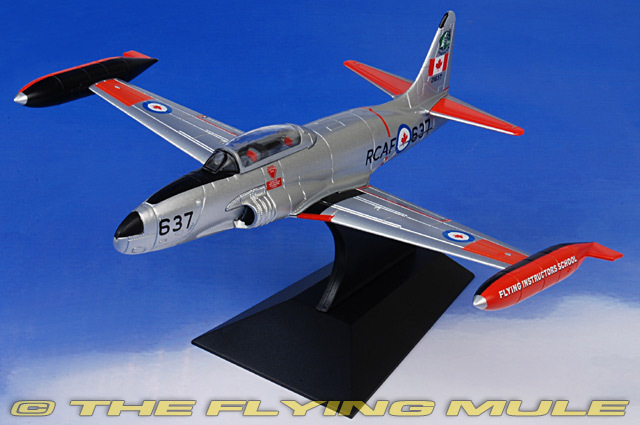 When Falcon announced their T-33 mold, it was scrapped. I would buy every Tutor released. 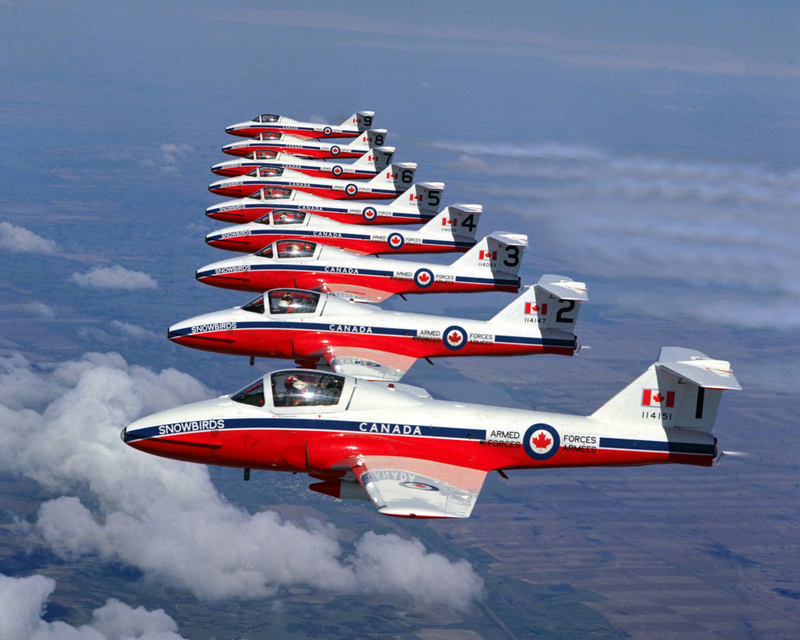 It's disappointing really that RCAF collectors know that they will never have a 'complete' collection. 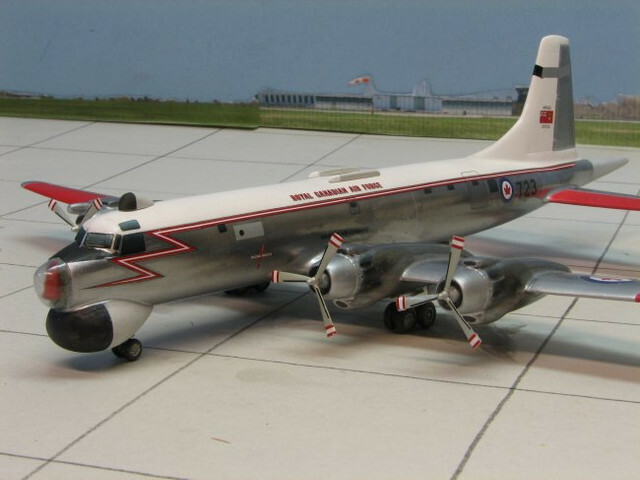 I would love to acquire an RCAF/CAF Tutor, Musketeer, Cosmopolitan, Canuck, Northstar, Yukon, Otter, Expeditor or Cariboo in 1/72 but it is of course extremely unlikely that we'll ever see such models produced. Heck, we can’t even get an F-5A. Patience. 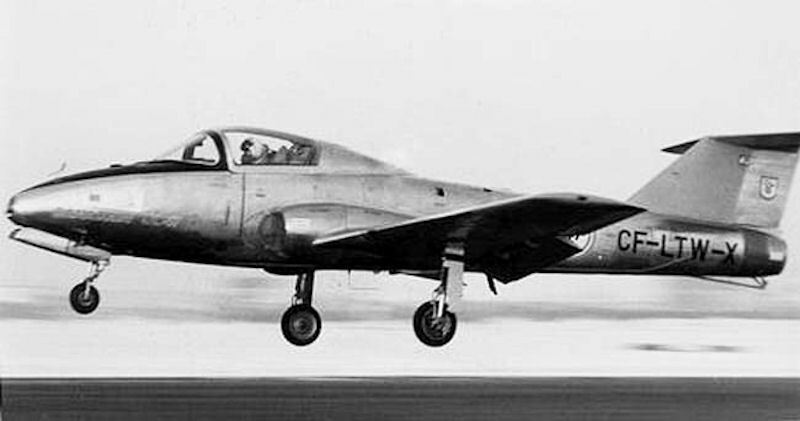 I'm sure the F-5A will come - eventually. I’ve been hearing that for years. 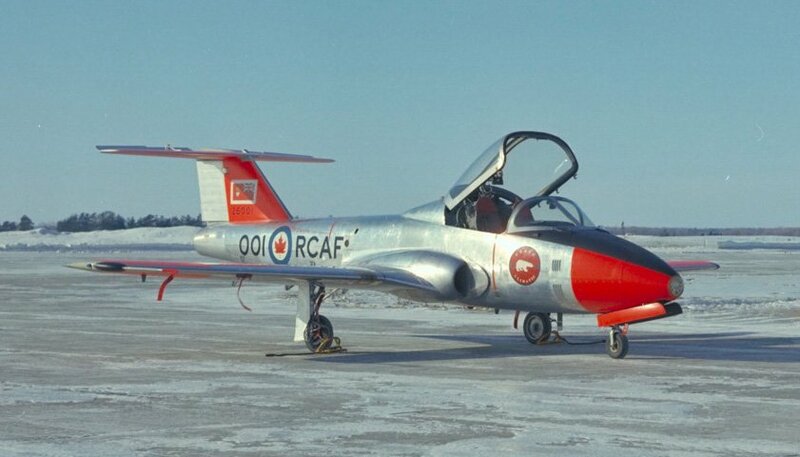 Interesting enough, CWHM had planned a T-33 as CWH002. 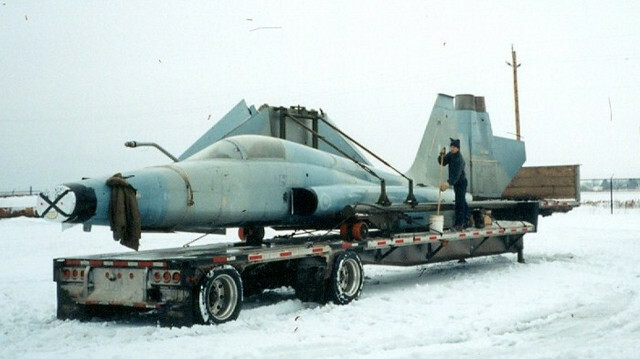 When Falcon announced their T-33 mold, it was scrapped. A retailer told me that 'Falcon (diecast) Models' went under because they somehow lost their production facility (their factory) and they were unable to acquire another factory to re-establish production someplace else. 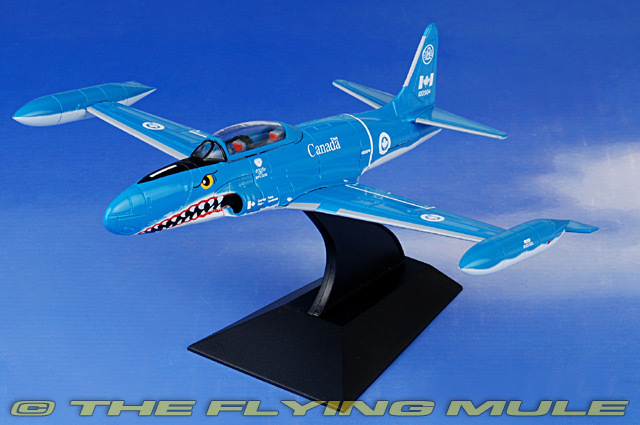 They were an Australian company that seemed rather keen on producing some very nice RCAF/CAF diecast models. So now I'm curious. What happened to all their dies, tools and molds? Where did all that end up going? Does anybody know the full story??? 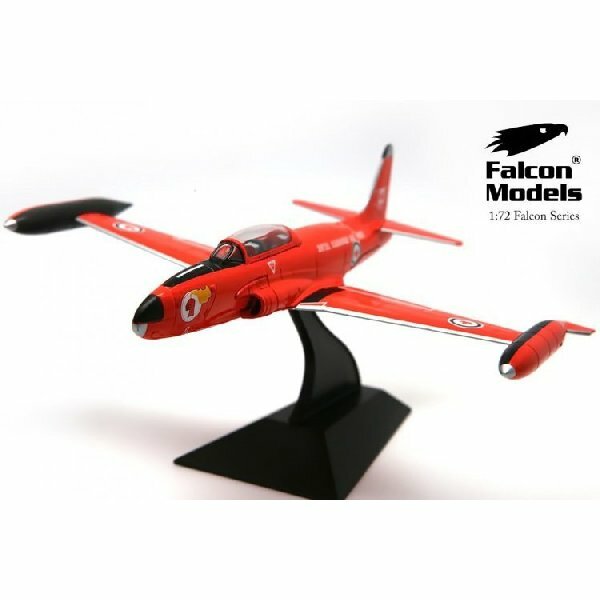 Falcon models was not an Australian company as far as I know. They were based in Hong Kong with a factory in mainland China. Their contract factory went under and took the toolings with them. I stand corrected. I was confusing 'Falcon Models' with 'Falcon Industries New Zealand'. So the 'Falcon Models' dies and molds should still be around somewhere? 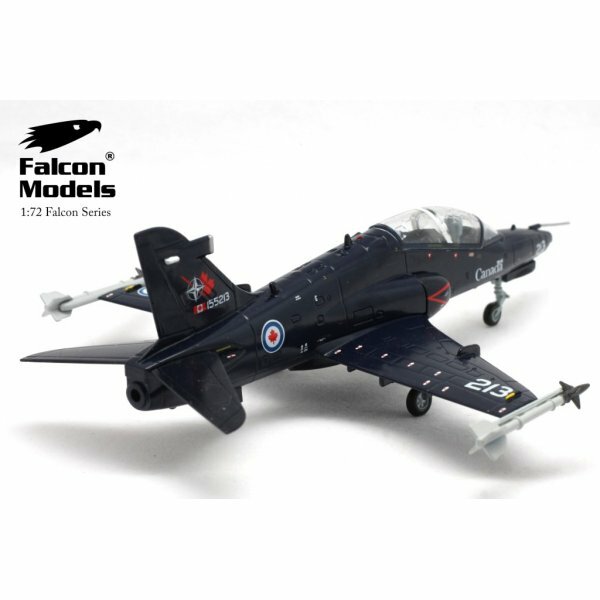 "PLEASE NOTE: As of November 2014, Falcon Models have placed all production on hold as they move to a new factory. 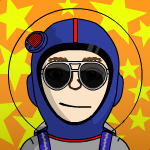 Although we do expect production to resume some time in 2015, we have no way of knowing exactly when this will happen. Feel free to place pre-orders as usual, but please be patient as all future release dates are subject to delay until further notice." which 1/72 sub board is this thread on? I can't find it on any of them. The only way I can find this thread is when it is the most recently responded to of all the 1/72 threads and appears on the main board. Otherwise it vanishes and I can't find it anywhere. never mind I found it. It's not on any of the sub boards. It's a thread unto itself and shows up in the small section under all the sub boards. I didn't even realize that one could start a thread in that area...lol.